For over 15 years, Steve has served as a customer service representative within the field of communications. He will present services and products offered through DuluthRange Communications, and give you further consultation toward setting up your business telecommunications system. 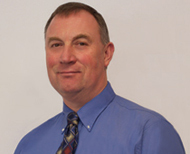 Steve has continually worked with a large customer base in consultation and advisor positions.